Renewals are in and we are glad to announce we've kept our core of leaders for the upcoming season. Both Fiedler and Zmorka are open for negotiations, even though only one of them will likely be leaving. We are looking to strengthen our ranks with another leader in order to make next season less desperate. Good luck everyone and give us a call, come the transfer season, if you have any sort of deal in mind! Good to see that you were able to keep your best riders, best of luck for this season! Getting one year closer to his retirement won't strip Tiago from his leadership role here at Porto - Prio. He continues to be a reliable source of results and we still count on him to be a symbol of our ethos. With disk brakes being introduced and the MGUCI allowing him to race more days this year we're still expecting a heavy point tally from him. Not being a rookie, Beñat brings another strong presence in stage races. A solid climber with TT credentials adds another degree of depth for our GC department. We're counting on him to lead whenever Machado can't. Another new addition in Dimitri, but a rather odd one. As one may have already figured, he was not part of our plan A. That won't count anyway. His talent will be crucial for us in the Ardennes and plenty of other hilly races throughout the calendar. We'd be lying if we said we're not worried about his lack of overall fortitude, but if he can't prove himself there's always someone else who could take his place next year. Rafael has been our pearl for a number of years since he joined the team as a mere youngster. He has finished his formative years now and began to improve his climbing abilities. Machado and Intxausti's mentorship will be key for him this season, but just like last year he'll enjoy his own chances. We have high hopes for our white jersey hunter. Beware, Silvio and Pierre! As it tends to happen to humans, Rodrigo isn't getting any younger, and as such his abilities dropped slightly. He is still a fine timetrialist and will assume a more relevant role with the departure of both Zmorka and Fiedler. Have to say I was expecting Borges to be trained this season after his stellar performance last year! 4 leaders is a good start! though not sure how well Machado will go one year into decline and there's no real race winner in the team apart from Avelinho in the odd sprint! It would perhaps be more sensible to train Borges, but I didn't achieve enough funds for that. We're definitely going to be closer to the bottom of the table once again. Thorough race planning is in need to try and avoid relegation once more. Interesting team, with good planning comes a shot at survival I guess. 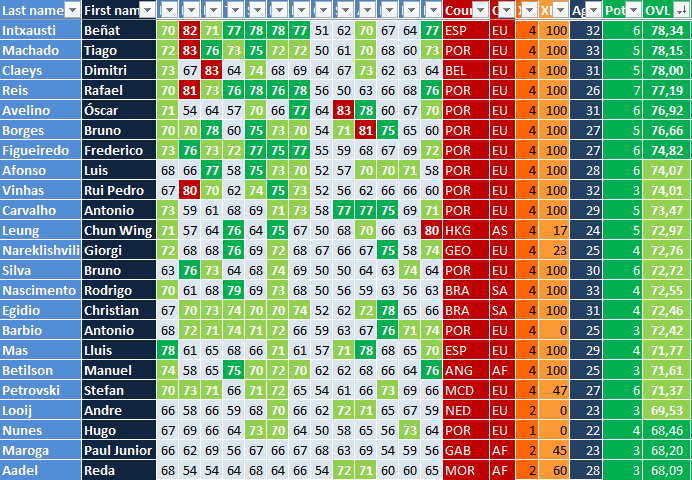 As jt said a lack of top scorers/true winners but I like the Machado/Intxausti combo (especially with team gem Reis and Party Pooper Vinhas around!). As with any other team, our leaders need their loyal team mates to help them shine. Fortunately we have a few of those. In the high mountains, Rui Pedro Vinhas is a more than capable sidekick for Machado, Intxausti or Reis, bringing down the hammer whenever needed. Furthermore we have Frederico Figueiredo, who’s just finished his formative path and will unleash all his quality helping our GC men in both climbs and TTs. In the hills Luis Afonso has always been in the shadow of Borges, but that’s what he is good at. He’ll continue to be the guy delivering him or Claeys the last water bidon before giving in. Finally with the departure of Lionel Coutinho, Antonio Carvalho steps up as Avelino’s main supporter. These two are going to go hand in hand throughout the season. Besides all these guys we also have a few other fillers. Bruno Silva has been with the team for more year than I can count and continues to be an important man in the mountains. Christian Egidio, on the other hand, has only joined last year but adds a lot of value especially in hilly terrain. There’s also Lluis Mas, who’s turned into a very fast roulleur. 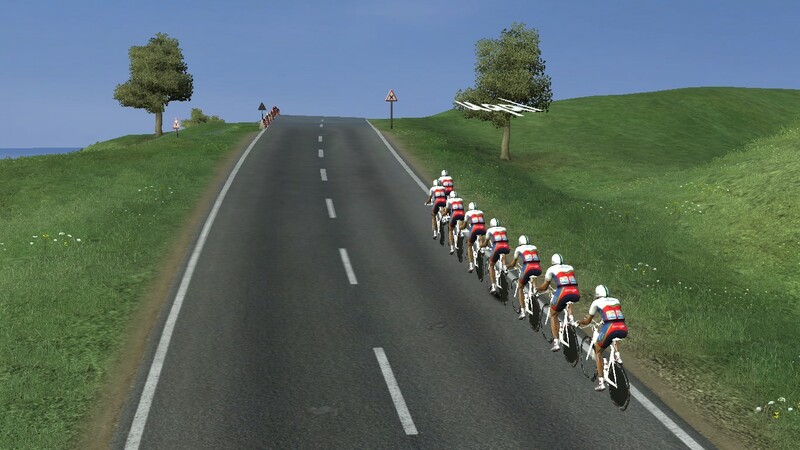 Hopefully enough to help in sprint preparations, peloton chases and obviously breakaways. Last but not least, Manuel Betilson, double angolan champion, also brings quality in the plains, namely in TTs. He impressed in a couple of races last year so we hope he can continue to show his NC jersey with pride in 2018. Looks like you've put together a pretty good squad going into the next season - interested to see what goals you've selected for the team. @Eden: Thanks Eden, I'm counting on him to help keep us afloat! The Georgian NC is coming on loan from Fablok – Bank BGZ to perfect his TT abilities and fulfill his potential in that department. We'll try to offer him the experience he needs and in return use his talent against the clock in our advantage. The man from Hong Kong, who has a contract with SPAR – Shimano – SCG will also provide support in TTing duties. We believe he has the potential to become a serious deal in prologues something which we hope will also help the team be competitive this year. 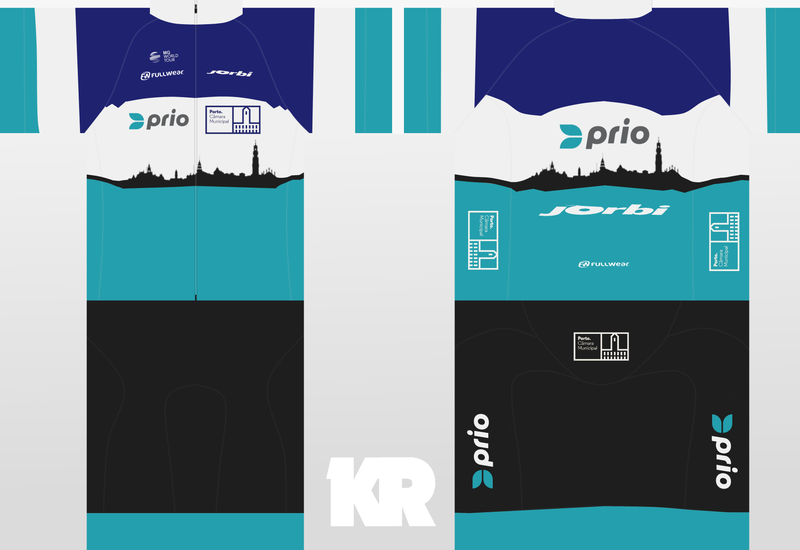 Our last loanee is from FYROM, and has managed to get a contract with Swisslion Cycling Team. He's a fine support rider, which we are glad to integrate in climbing squads throughout the season. We will look to follow Petrovski during the season. We hope his climbing abilities will suit you well and I am sure we will miss him this season, but are excited to see his improvement for next year. Last year Porto - Prio featured a prominent TT squad with names as big as Fiedler or Zmorka. Besides those two there was also an esteemed and respected TTist by the name Nelson Oliveira, whom we have helped develop and nurtured for a number of years. 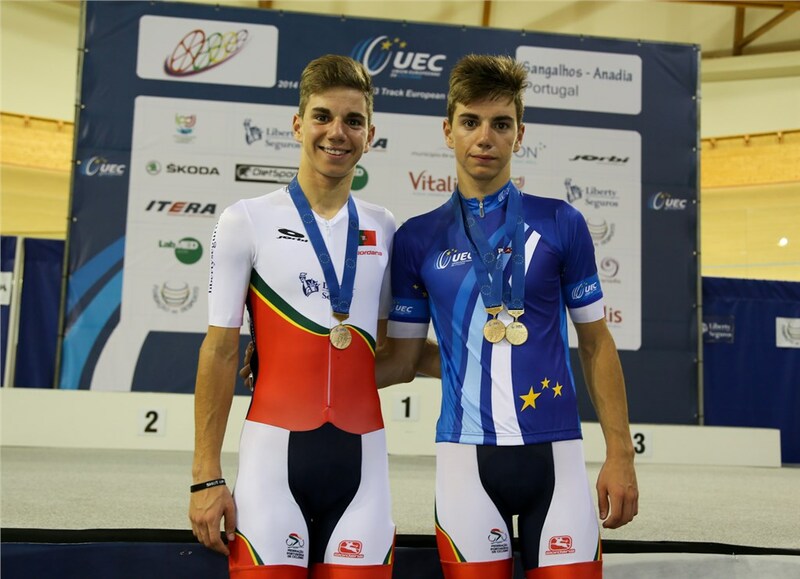 It was with great pride we saw him take our first portuguese NC shirt in the TT race a couple of years ago, but perhaps his greatest achievement came just a few months ago, when he led the national squad in the TTT worlds, which they conquered in an historic performance. It was then, with great surprise that we received the news that Oliveira had decided not to accept our renewal offer! Not only that, but to make matters worse he took a step further and decided to jump the border to our old rivals at Desigual! His thirst for money could not have ended in more foul adversary. 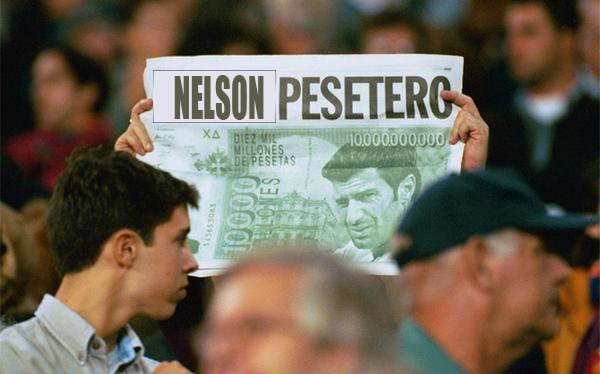 Public outcry has become unbearable and the portuguese media are now calling him 'El Pesetero'! Given this major setback, the management had to come up with a rabbit out of the hat. Many options were considered, like hiring Pluchkin, Bewley or Taaramae, but we eventually scrapped all those and landed on a much better solution: We decided to bring two Oliveiras for the price of one! And that's how we ended with these two beasts of riders who will one teach Nelson a lesson and show him who's the best team in the peninsula! We'd like to thank both Swisslion and SPAR for taking them on board. We hope they can deliver their water bidons properly to their respective leaders throughout this season. The far superior Nelson Oliveira is happy to reignite this rivalry and is prepared to haunt you by riding around in the Portuguese TT NC jersey this season.